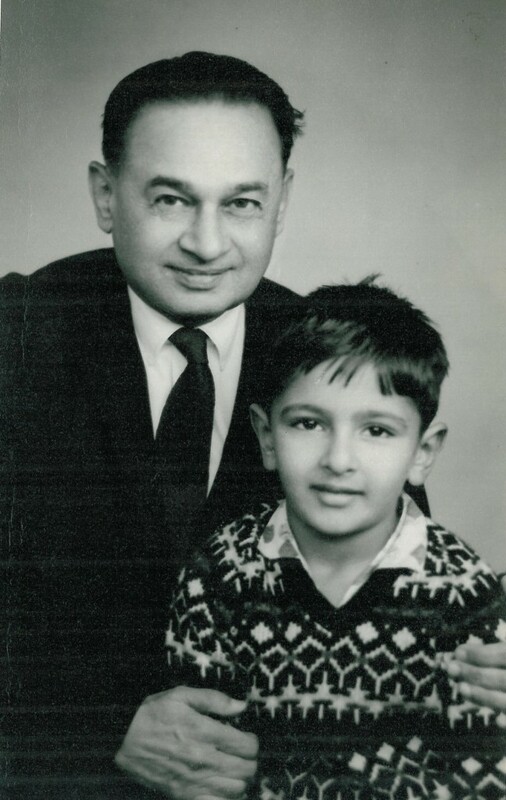 My maternal grandfather Hassanali Gwaderi with me when I was a boy. Both my maternal grandfather and my paternal grandfather fed me a formidable feast of nourishing stories when I was a child. I have written about my maternal grandfather, Hassanali Gwaderi, in the section on this website entitled The Khyber. 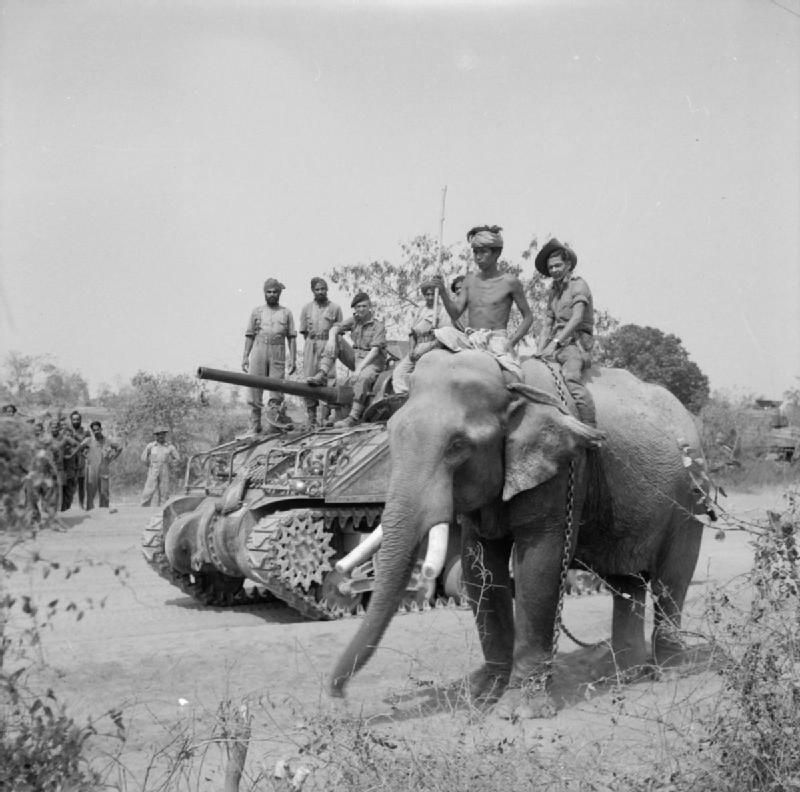 I have written about my paternal grandfather, Gulamhussein Ajania, in the section on this website entitled Shooting an Elephant. Both my grandfathers were immigrants to East Africa almost a century ago. They both arrived with few material possessions but richly and abundantly laden with stories from their own communities where they were raised. In the case of my maternal grandfather, that community was in the port town of Gwader, an historic region, bordered by India, Persia and Afghanistan, and conquered and fought for by many, from King Darius II to Alexander the Great. In the case of my paternal grandfather, that community was in a village in Gujarat, India which was known since medieval times and during the days of the British Raj as Nawanagar, and which today is better known a Jamnagar. 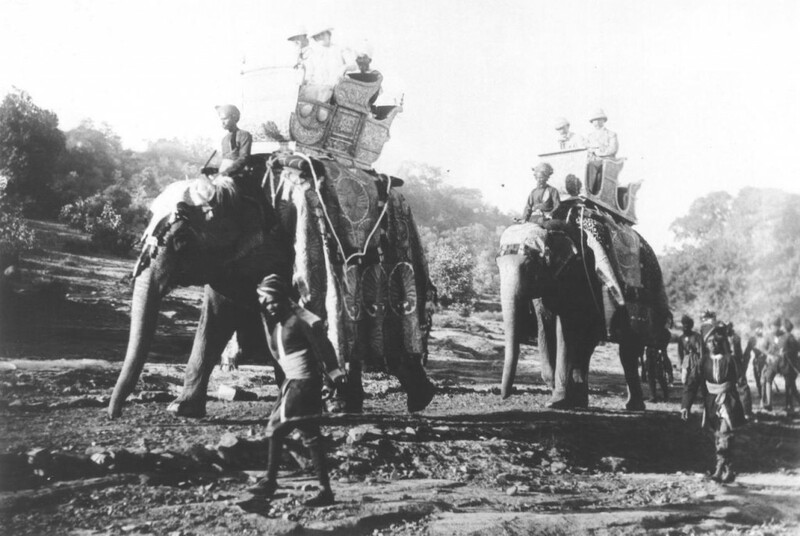 One common and consistent thread between both of my grandfather’s stories was their love of elephants! 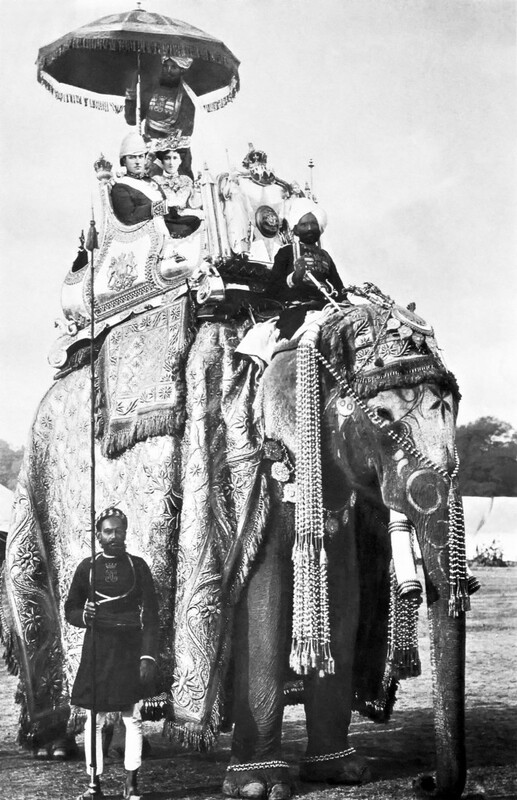 Moreover, both of them had seen elephants in various settings as children growing up in India and Central Asia and, in the case of my paternal grandfather, living for a few years in Burma. 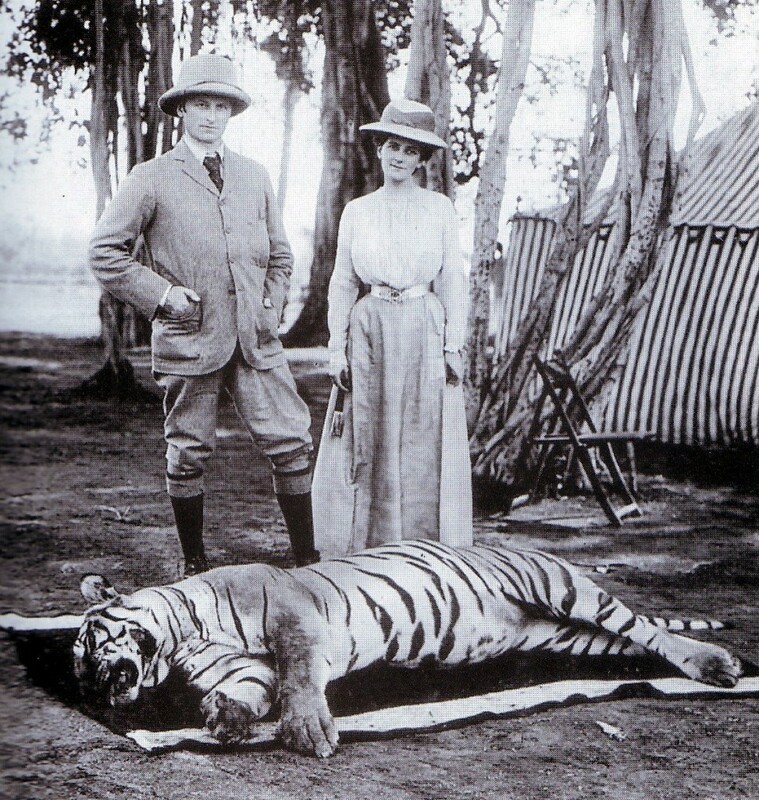 Lord and Lady Curzon victorious in killing (having killed for them) a tiger. In India, there were stories of the governing class of the British Raj, such as Lord Curzon (1859-1925), 1st Marquess Curzon of Kendleston, KG, GCSI, GCIE, PC and a Viceroy of India, who was fond on riding upon elephants with his wife Lady Curzon, in pursuit of tigers which he would then have killed for him. 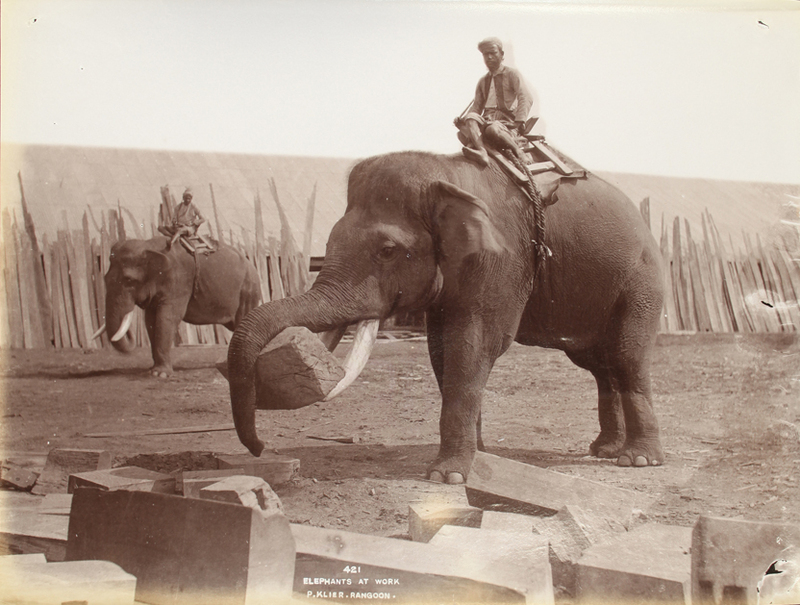 In Burma, there were stories of the elephants that were merely beasts of burden and engaged in the kind of heavy lifting that can be mechanically implemented in our modern day with forklift trucks. 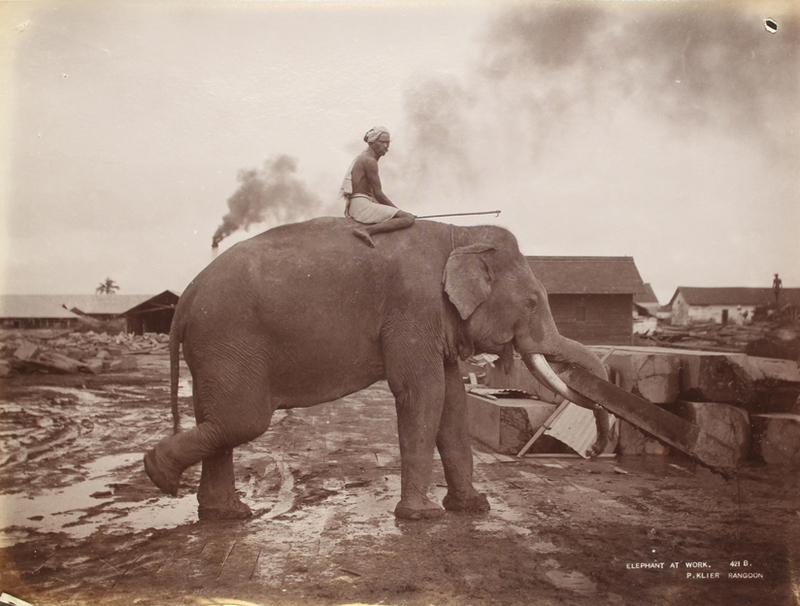 Working Elephant in Rangoon, Burma. Photo by P. Klier. In Central Asia, there were stories of elephants who were engaged in military theatre, a tradition that goes all the way back to Hannibal, son of Hamilcar Barca (247-183BC), who engaged 38 elephants as part of his infantry when crossing the Alps in 218BC. 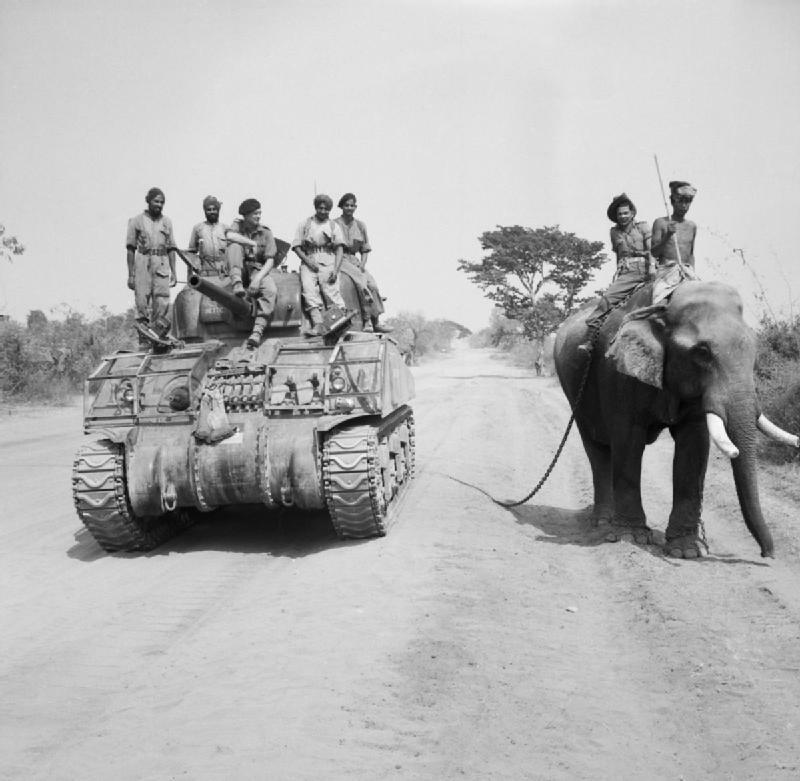 Working Elephants in Rangoon, Burma. Photo by P. Klier. Most of all however, I recall how tenderly both my grandfathers spoke of the noble elephants who had soulful characteristics evidenced in rituals of mourning their dead and taking seemingly thoughtful solitary treks before their own decay and demise. Elephants, it seemed to both my grandfathers, had expansive and magnanimous souls with vast and abundant room for all of humanity. There seemed to be infinite room in the elephant.